Chest congestion causes difficulty in breathing and occurs due to the inflammation of the lower respiratory tract. It is caused by the accumulation of mucus and fluids in the lungs. When the mucus membranes that line the airways become overactive, it results in chest congestion. 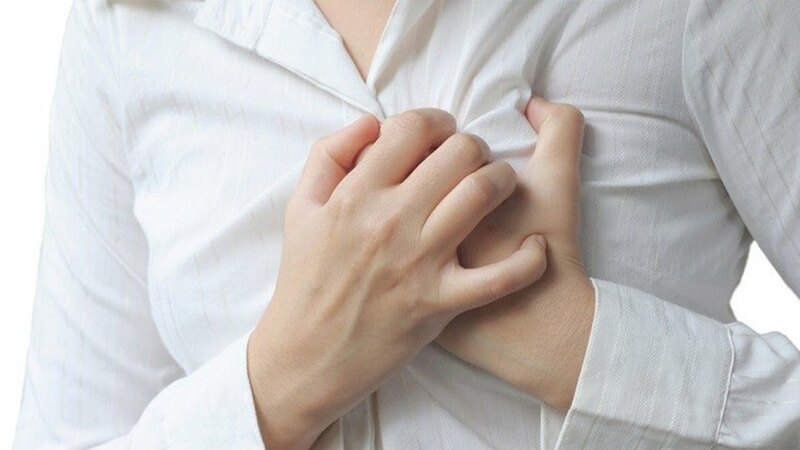 Chest congestion is an accumulation of fluids and mucus in the lungs, which can cause symptoms of pain, discomfort, tenderness, coughing and difficulty breathing. Chest congestion can be a sign of a serious heart or lung illness or disorder that requires urgent medical treatment. Chest congestion can produce both a productive (mucus-expelling) cough or a dry cough. In some cases, chest congestion can be diagnosed by listening to the breathing sounds and x-ray images of the chest. Bronchitis is a bacterial or viral inflammation caused by a bacterial or viral infection of the bronchial tubes or primary airways within the lungs. MayoClinic.com advises that acute bronchitis can develop from other respiratory infections, such as a common cold, while chronic bronchitis is a more serious condition caused by consistent lung irritation — often due to cigarette smoking. Any type of bronchitis can lead to the production of large amounts of mucus that fill some areas of the lungs, hindering normal respiration and causing chest congestion. A bacterial, viral, parasitic or fungal infection can lead to a pneumonia infection in the lungs. This illness can also be caused by autoimmune reactions. Pneumonia leads to symptoms such as fever, fatigue, nasal congestion, difficulty breathing and chest congestion. MayoClinic.com reports that a pneumonia infection can vary from mild to life-threatening and can be complicated by other health conditions, such as a weak immune system. Tuberculosis is an infection of the lungs caused by the bacteria Mycobacterium tuberculosis. The Centers for Disease Control and Prevention advises that this bacterial infection can attack the lungs as well as the kidneys, brain and spine. In the lungs, tuberculosis can cause severe coughing, pain, difficulty breathing and chest congestion. Left untreated, this disease can be fatal. According to the College of Medicine at Penn State, congestive heart failure occurs when the heart cannot pump blood effectively through the body. A primary symptom of this type of heart failure is lung congestion, which occurs as fluid accumulates in the lungs. For many people, home remedies are an effective first-line treatment. Try these options. Drink lots of fluids. It sounds cliché, but you likely hear this advice so often because it works. Liquids help thin out mucus. Warm liquids in particular can help clear out mucus in the chest and nose. This can relieve congestion, giving you a small respite from your symptoms. Steam can also help loosen mucus and clear up congestion. Depending on your needs, you can make your own steam room or humidifier at home. You can also pick up a humidifier at your local drug store. Cool mist humidifiers are an option, as well. They’re often preferred in warmer climates where steam may not be ideal. You may find it beneficial to use the humidifier at night and keep it near your bed. This may help ease congestion while you’re sleeping so that you can sleep easier through the night. Be sure to keep your bedroom door and window closed to keep the vapor from escaping. Researchers in one 2007 study found evidence to suggest that buckwheat honey may be more effective than traditional medication at relieving cough and congestion. The researchers enrolled 105 children between the ages of 2 and 18 to participate. They received buckwheat honey, a honey-flavored cough suppressant known as dextromethorphan, or nothing at all. Results revealed that parents found buckwheat honey to provide the most symptom relief for their kids. Lemon can also help treat chest congestion naturally. The citric acid in lemon reduces the thickness of the mucus, so that it can be expelled from the body easily. Plus, the vitamin C in lemon helps improve the body’s immunity. Certain essential oils can help loosen mucus in the chest. The findings of a 2001 study showed that a variety of vaporized essential oils could inhibit the growth of bacteria that commonly cause respiratory infections. The researchers looked at cinnamon bark, lemon grass, and thyme essential oils. Gargling with salt water several times a day is an effective treatment for chest congestion. While the salt helps remove mucus from the respiratory tract, the hot water reduces irritation in the throat. Apple cider vinegar is another effective remedy against chest congestion. It helps thin the mucus in the chest, thus relieving congestion and helping you breathe better. Apple cider vinegar also boosts your immunity, which greatly helps prevent chest congestion in the first place. Black coffee is also an effective remedy against chest congestion. When you suffer with shortness of breath and cough, consume two or three cups of black coffee. Caffeine present in coffee acts like a medication against shortness of breath and clears mucus. Turmeric has an active compound called curcumin that helps expectorate the mucus and give you quick relief from chest congestion. Also, its anti-inflammatory property helps deal with cough, pain and other symptoms of chest congestion. Ginger can also help with chest congestion due to its anti-inflammatory and immune-boosting properties. The polyphenols present in ginger help inhibit the secretion of mucus. Plus, ginger fights infection to get rid of the underlying cause of chest congestion. Onion is a good remedy for chest congestion. It has quercetin that helps dissolve the mucus. Plus, it prevents further buildup of mucus in the chest. Its antimicrobial properties also help prevent infection.